No, this is not a risqué topic! Get your head out of the gutter! Foxy is the name of Michael’s little stuffed fox (though some people think it’s a squirrel). He is the love of his life (besides his Mommy, of course). When I was pregnant with Michael, I was working as a School Readiness Teacher. One of my preschoolers gave me a gift for the baby. 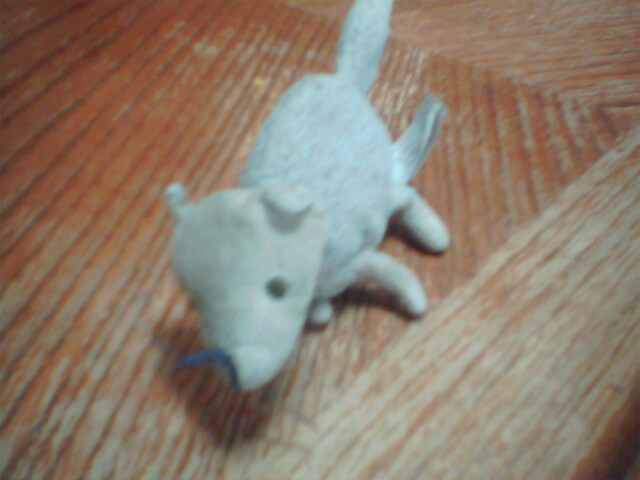 Inside the gift bag, was this little blue fox. It was so cute, and just the right size for baby fingers to hold on to! Michael has been attached to Foxy since just about the day he came out (or at least since he could reach for and grab things). This little fox, which is now a dingy grey, has fur rubbing off, and is losing half his mouth, has been through everything with Michael. He has been lost and found several times, has made approximately 5 visits to the hospital, has been puked on, peed on, stepped on, and yet, still rattles when Michael carries him up to my bed in the middle of the night. When my little guy is upset or tired, he seeks out Foxy to comfort himself. When he has to go get shots, Foxy comes to help him be brave… right before we moved to WI, Michael went in for his 1 year check up. His nurse at the time said, “I can’t believe he still has this fox.” If only she knew that another 4 and a half years has passed, and he STILL has it! In the past several months, I have been dealing with a lot of stomach issues. On one particular day, when I was laying in bed, feeling especially sick, Michael came in and put Foxy next to my face. He told me that Foxy would snuggle with me, and I would feel all better. He’s such a sweetheart! Grace also has her comfort item. 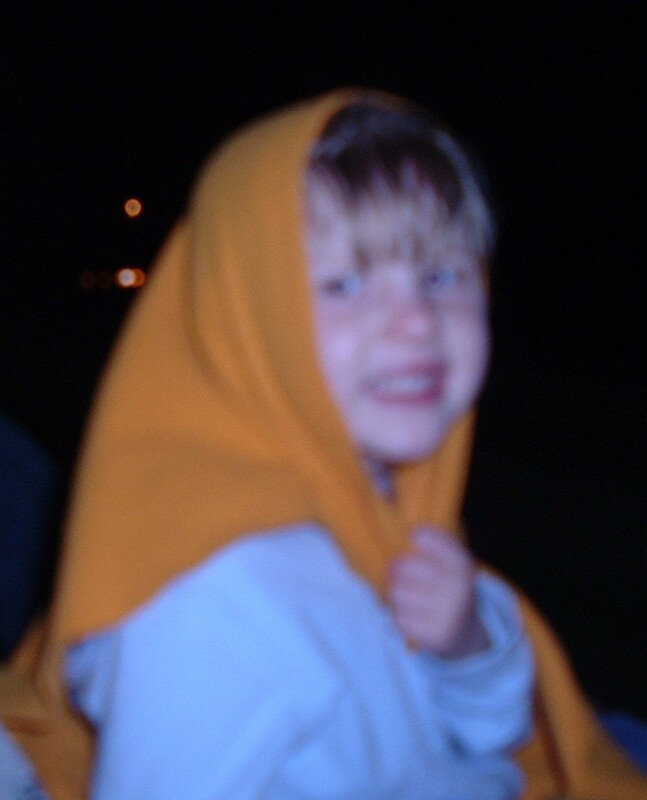 When she was a baby, my mom made her a blanket with orange fleece on one side. Grace fell in love with the orange fleece side. My mom cut 2 squares of fleece as “back up blankies”, those have been her favorite ever since. Even at 9 years old, she still loves her orange blankie. When she’s upset, she sits on her bed with her blanket and Bear-bear (a ratty old bear she also loves) and reads. I’m glad my kids have their special items to help them feel better when I can’t. There’s something magical about Foxy, Blankie, and Bear-bear. They seem to possess the power to make anything in the world better. I wish I had a magic wand, but I don’t. For now, I’ll let their comfort items carry the magic! Previous What am I thankful for? Next Put a Band-aid on it!